The size of the dining area in this large family home meant that an extra-large table (1.2m x 2.6m) gatherings of friends and family could be accommodated easily. 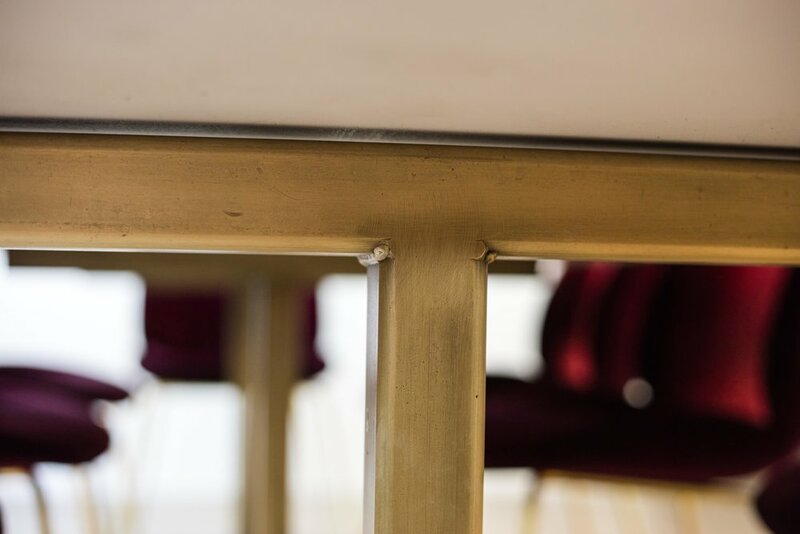 Taking inspiration from the interior architecture pallet, which swayed between the rawness of steel and concrete and the refinement of brass and gold, meant that a bespoke concrete table with elegant brass legs was just what was needed. The concrete table is sealed in five coats to allow for the normal wear and tear of a family and was designed by Finkernagel Ross and manufactured in the UK.